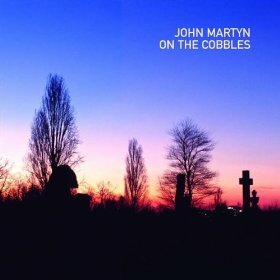 It was four years since the release of John’s last studio album Glasgow Walker, John returned with his 22nd studio album entitled On The Cobbles on 26 April 2004 through Independiente. The new album was recorded at various studios in the UK and US including Woolengrange in Ireland, The Toolshed, Chicago USA, Doon The Cellar, Birkenhead, Swan Yard Studios, London, Parr Street Studios, Liverpool, Hornyold Road Studios, Worcestershire and at The Caliope Recorders, Chicago USA. Produced and engineered by Jim Tullio and Garry Pollitt, On The Cobbles includes collaborations with ex-Verve guitarist Nick McCabe on Walking Home; fellow label mate in the past on both Go! Discs and Independiente, Paul Weller, who appears on Under My Wing playing Wurlitzer, B3 Hammond, acoustic guitar & backing vocals; the legendary Mavis Staples, lead singer of the Staple Singers appears as guest vocalist on final track, Goodnight Irene. The instrumentation is predominantly acoustic in nature and the album is very well produced and engineered.